Mary Battiata is a Virginia-based singer-songwriter and bandleader with a breakout new CD – The Heart, Regardless – currently collecting 5-star reviews and significant radio airplay in the U.S. and UL/Europe. Her show is a great mix of Country originals with familiar and obscure early Country covers from Hank Williams, Johnny Paycheck and Loretta Lynn, among others), and includes two-part harmonies, electric and acoustic guitars, mandolin, pedal steel and fiddle. She tours from NYC to Austin, Alabama, Oklahoma and points in between. 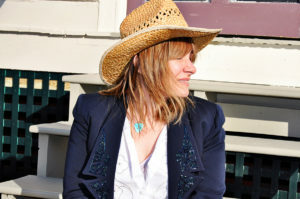 In May, The Heart, Regardless rose to the high teens on the Roots Music Report’s list of “Top 50 Country Albums,” “Top 50 Americana Country Albums,” and “Top 50 Country Songs” (200-plus commercial country and public radio stations reporting), and received a 5-star review from the Country Music People (UK).